Retirement in this century is very different than for previous generations, and as such the planning and tools needed for the 21st century have naturally evolved from the basic tools of last the millennium. A hundred years ago, the prevailing wisdom that is unfortunately still bandied about was “buy stocks when young for growth, and bonds as you age for income.” While the essence of this advice is still sage and relevant, it has improved over the decades into a more efficient approach that manages the various risks much better than the ancient way. Longevity: life expectancies are 30+ years longer than a century ago. Decline of the nuclear and localized family: rarely are relatives living in the same house or next door. Rise of Long-Term Care needs: one half of those 65 years old today will need care. Decline of pensions: the majority of current retirees have pensions. Most pre-retirees do not. Social Security has not kept pace with inflation. The net effect of these forces is that retirement will last longer than ever before, with a much greater share of the burden on the individual. The traditional bond-heavy retirement portfolio completely fails to address this new reality and leaves people highly at risk of running out of money as they age, creating uncertainty and fear that clouds the golden years unless addressed. Luckily actuarial science and financial innovation have been applied to this dilemma, and there are a variety of solutions to these problems. One of the most flexible is the use of index annuities as a bond substitute in retirement planning to eliminate many of the shortcomings of the traditional bond approach. These characteristics make them a smart option for those investors who are looking for security, safety, flexibility and income in retirement years. Like any financial product, Index Annuities may be right for some people and wrong for others. There are definitely situations where they are not the best tool, so to understand if they are right for you, let’s discuss just how they work. Understand the Difference: Index Annuity or Hybrid Annuity? Annuity marketers have muddied the waters and Index Annuities been called Hybrid Annuities in the past. The nickname “Hybrid Annuity” is really a marketing phrase applied to those annuity contracts that combined a number of different benefits and advantages into a single contract. Be sure to read our page on The Truth About Hybrid Annuities on this site for our take on the products. In a broad sense, the idea was to take the best features of different types of annuities and assemble something better by putting them all together. Benefits combined into one contract that were previously unavailable had the result of a dramatically increased level of complexity, coupled with customizability of the new generations of annuities. For better or worse, hybrid annuity contracts and the associated marketing have fanned widespread misconceptions and counter- marketing attacks. Most misconceptions stem from legacy beliefs about Variable Annuities. General financial misunderstanding runs rampant in the public, often fed by talking heads such as Suze Orman and Dave Ramsey in an attempt to sell books/programs (or commercials on their shows). CNBC and the Wall Street Journal feed the fires by picking out “worst of the worst” to showcase and then painting all annuities with the same brush. Finally, Ken Fisher’s incessant advertising for his managed money platform adds more noise to the marketplace. All these individuals and companies are focused on short-term attention to garner eyeballs, and not long-range growth with flexibility tailored to individual needs. They have focused on ‘annuities’ as a term and as an industry for their attacks, and the industry has failed to defend itself well. Inaccessible. Insurance and annuity contracts are a generally illiquid or restricted product. But current hybrid annuities have a variety of ways to access the cash, so this is highly misleading fear mongering, based on old info, and is simply moot if the purchaser is properly informed. Illustrated returns. Many marketers advertise a misleading teaser rate, such as “8%*”, with fine print that can leave your head spinning. In response to this, we educate clients on how returns are really calculated and do not rely upon smoke and mirror numbers, because transparency is the only way to make choices for the future. Guaranteed returns. Traditional money managers scoff at even the word ‘guarantee’, but usually it’s because they simply can’t compete. They live in a world of probabilities and risk, and insurance is on another planet, one of risk mitigation. Premium in a hybrid annuity or index annuity does have a guaranteed minimum interest rate per contract, and the asset itself is backed up by the full and faith of multi-billion-dollar companies and backstopped by external guarantee funds. Traditional bonds have far less security in the promises backing them up. Excessive hidden fees. Whether they are hidden or overt, fees erode real returns. The talking heads however will typically look no further than the admittedly egregious variable annuity fees, with mutual fund costs, rider fees, and insurance charges that may total 5% or more per year. I agree completely- these doggy products don’t belong in anyone’s portfolio. But does that mean all annuities are bad? No way. Low returns. Comparing the guaranteed base return of an index annuity to the short-term performance of a non-guaranteed bond fund is bad math, as it ignores the guarantee inherent in the annuity, namely, that your principal will never lose value. It’s even more misleading as the taxation on the bond fund negatively impacts yield, whereas annuities grow tax deferred. If you were to calculate after-tax returns per unit risk, growth oriented index annuities over and over again trounce whatever hot new fund is trotted out on TV. To be sure, there are some hybrid annuities that do have poor performance and higher fees. But quality contracts with quality companies don’t play these games, and if we invest the time upfront to understand how they work and the restrictions that should be planned around, we can make better decisions. The classic use of an annuity was to convert a lump sum of money into an income stream for a lifetime, essentially creating something like a private pension plan with a monthly paycheck. For many people this makes perfect sense, as it removes the longevity risk discussed previously that is a major weakness of the traditional bond portfolio approach. But not every consumer has identical needs or goals, so the flexible nature of hybrid annuities is a major advantage as they can be individually customized based on need. Lifetime income – while avoiding any volatility in markets. Emergency liquidity – in times of need. Home-based health care – accelerated payouts for pressing medical needs that arise. An interesting case study is the country’s top-selling annuity, the Allianz 222, which has become a widely used product for a reason. Its popularity is due in large part to the massive bonus paid to the buyer that has topped out at 30 percent in some cases. Beyond this, it provides owners with an additional 50 percent of all interest that the insurance company credits each year. This sounds impressive, but as with anything in life, there is no such thing as a free lunch. Understanding this particular Index Annuity for Retirement Income is easiest by analogy to Social Security or any other long-range asset: the longer a retiree waits to take it, the more they will receive. The old adage “good things come to those who wait” is 100% applicable in this situation. If you hold your Allianz 222 for 10 years there is extra value. There are two concepts that some annuity buyers sometimes have trouble getting their heads around: Protected Income Value and Account Value. Protected Income Value – This may also be called the ‘income base’ or other names, depending on the contract. It is a non dollar account value comprised of the premium an annuity holder invested plus the amount of the premium bonus. This amount is then typically increased, or rolled up annually and may be enhanced by other bonuses. The final total is what the insurance companies use to determine guaranteed lifetime income that the annuity owner will get. Account Value – this equals the invested premium plus interest credited during the contract term. This is usually lower than the Protected Income Value, and if the client transfers the asset to a different annuity will be the starting amount for this transfer calculation. The premium bonus and interest bonus are credited only to the Protected Income Value. To receive the PIV, including the bonus, the contract must be held for at least 10 contract years, and then lifetime income withdrawals must be taken. 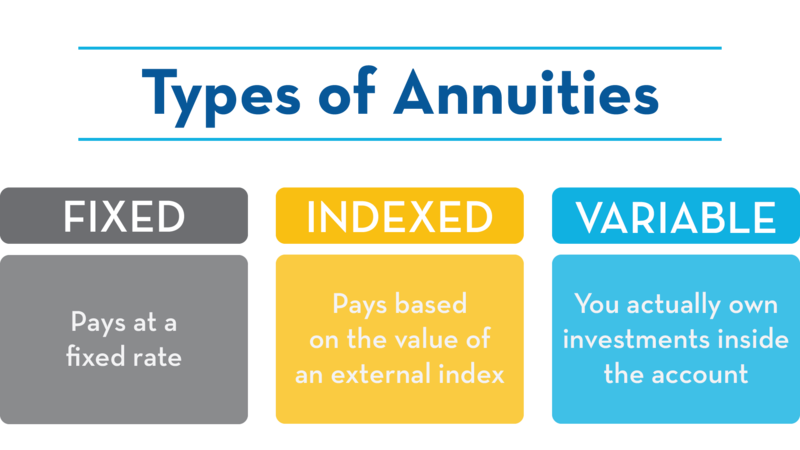 Be sure to read our Income Oriented Index Annuities and our piece on Understanding Index Annuity Rates for more on the various terms related to index annuities. Retirement is very different now than it was 50 years ago. Flexibility is of paramount importance as people and markets change. The “buy bonds for safety” of the past has evolved to “buy annuities for safety, flexibility and income” of today. The generic, one size-fits-all solution has evolved into customized tailoring of products to meet individual needs. Index Annuities have the flexibility and options to fill many individual needs and are often a good option for long-range planning. Here at DCF Annuities, we have the expertise to tailor a solution based on your individual annuity needs. If you are like many of our clients, you probably now have additional questions related to your individual circumstances based on reading this article. Our team at DCF Annuities is happy to help with any questions that you may have, please contact us today for more information or to speak with a representative by phone (800) 246-1932.